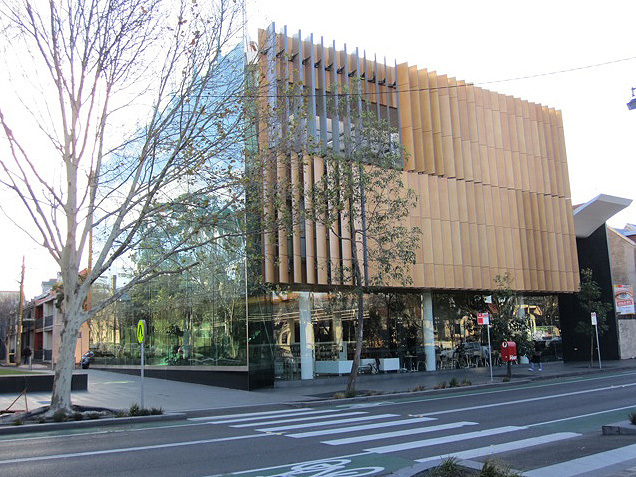 The award-winning Surry Hills library has officially been crowned a world leading community facility after winning one of architectures most prestigious international awards- Best New Global Design Award 2011. Not only has the building set a new benchmark in environmental design & performance it has also been designed to dramatically reduce energy use. Wolfin GWSK Waterproofing Membrane has been installed as the flat roofing membrane under the Green Roof typically consisting of soil & plantings. The roof then cools the building in summer & insulates it in winter & also acts as the primary collection point for the 60 000lt rainwater storage tank. The Wolfin Membrane System is one of few membranes to have certified testings for use as a Green roof membrane. The rainwater tank is also lined with Wolfin GWSK Waterproofing Membrane.